WindMeter - Mobile anemometer application for Android. An ultimate set of stop watch programs for F3K, F3J and F3B competitions. Improve your flying skills and make your timekeeper happy. 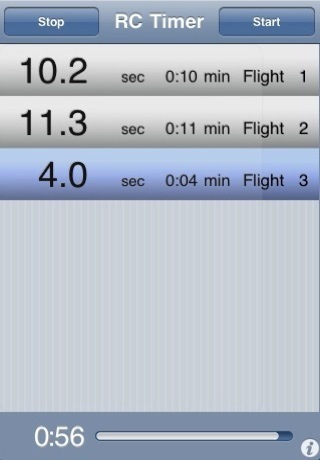 Talking Timer (US only) - talks working time, count down flight time and announce next traget time in ladder task. We have released new version of the F3K Timer. We have add some useful features you are asked for. The „Measure & Sketch“ helps you to sketching up your measures and dimensions on a photo. All you have to do is take a photo of an object you wish to store dimensions of. Then you add dimensions with arrows, angles and text labels with very intuitive interface. You have ability to organize your sketches with folder system, export and share them with your friends or business partners. Wind Meter has first customers and we are working to improve the Wind Meter accuracy. We have released update with calibration for Samsung Galaxy S, it should work on Samsung Epic 4G too. We proud to present our new anemometer application for Android - Wind Meter. It uses device sound input to estimate wind speed. It works by analyzing the sound of wind passing the device microphone. This is achieved using the advanced proprietary algorithms to filter out the wind generating sound from the background noise and other sounds. Wind Meter includes compass integration, so you can easily find wind direction too. Have extended Poker task in F3K Timer. Now it's possible to enter the flight time after starting the flight. Fixed bug with reset function. released 0.1.1 version, fixed some bugs.